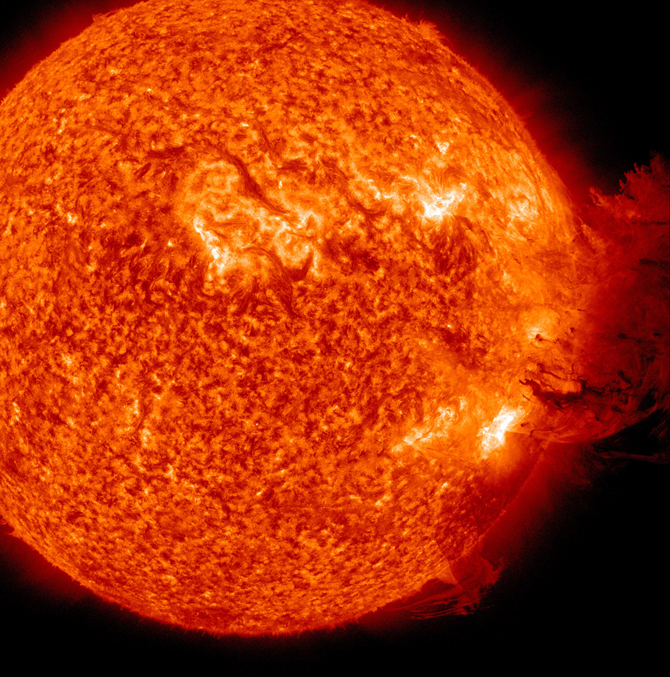 The next peak cycle of sunspot activity is predicted for 2012-2014, bringing with it a greater risk of large geomagnetic storms that can generate powerful rogue currents in transmission lines, potentially damaging or destroying the large transformers that manage power flow over high-voltage networks. “Geomagnetically-induced currents on system infrastructure have the potential to result in widespread tripping of key transmission lines and irreversible physical damage to large transformers,” a 2009 report (pdf) by the North American Electric Reliability Corp. (NERC) and the Energy Department says. In the worst-case scenario, the stockpile of spare transformers would fall far short of replacement needs. Urban centers across the continent would be without power for many months or even years, until new transformers could be manufactured and delivered from Asia. The transformers are not made in the United States. In case you are advised to seek a storm shelter keep this list and pack these essentials. Everyone in the state is advised to bring a disaster supply kit that includes 5 to 7 days worth of supplies. The Hurricane Evacuation Shelters are only intended to be a safe place to stay and will not have food or personal items on hand for volunteers or residents. Remember, numbers stored in cell phones won’t be accessible when the power goes out and cell phones can’t be charged. Trail/hotel sizes that can be used and discarded are recommended. Please note, it is likely you will go several days without a shower in the Hurricane Evacuation Shelter, but these will be needed if you are unable to get back home after the storm passes. We do not have vests to issue to all volunteers. Bring one if you have it. If you do not have a vest, try to wear a Red Cross and there may be a vest available at your shelter.